Thyme is an herb often used for both culinary and medicinal uses. It is used to flavor meats, soups, and stews. Best used fresh, the plant is a perennial and grows easily. When using, strip the tiny leaves from the stems. Whole stems can be included in soups, but should be removed before serving. 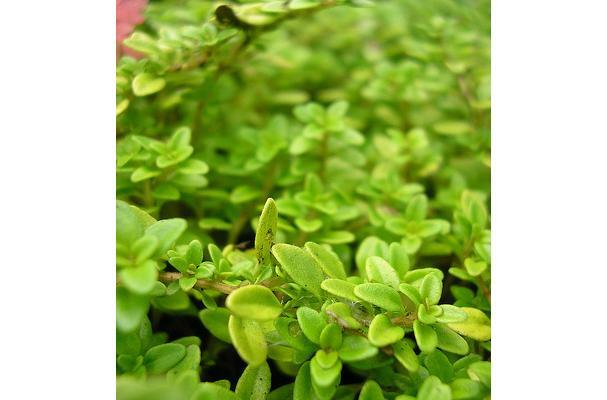 Thyme is relatively mild, has nice floral notes, and does not get bitter in high quantities or with cooking like some herbs. Try it with lean cuts of chicken, beef, or pork to increase flavor. for fresh thyme- strip the leaves off the stem. for dried thyme_ remember to rub the dried leaves between your fingers before adding them to your dishes to release the flavor. Store fresh thyme in a plastic bag in the vegetable crisper. For dried thyme, store them in a cool dry place, inside an airtight container for no longer than six months.